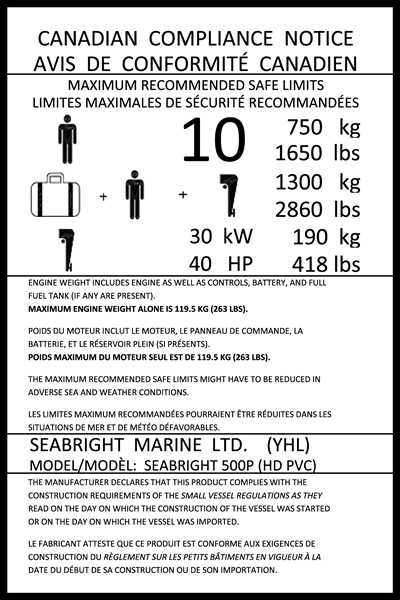 SeaBright 230 - 7' 6"
SeaBright 270 - 8' 10"
SeaBright 290 - 9' 6"
SeaBright 320 - 10' 6"
SeaBright 380 - 12' 6"
SeaBright 420 - 13' 9"
SeaBright 500 - 16' 4"
This "heavy duty" inflatable boat is manufactured with extra tough and extra thick 1.20 mm PVC instead of the standard 0.85 mm thickness found in the smaller boats. 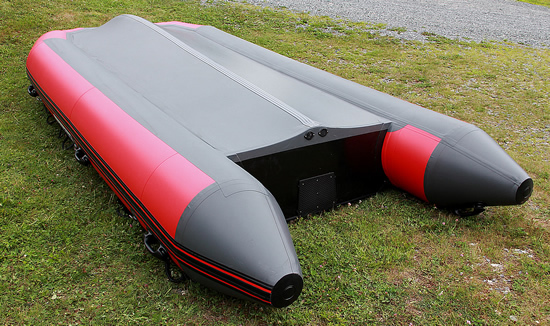 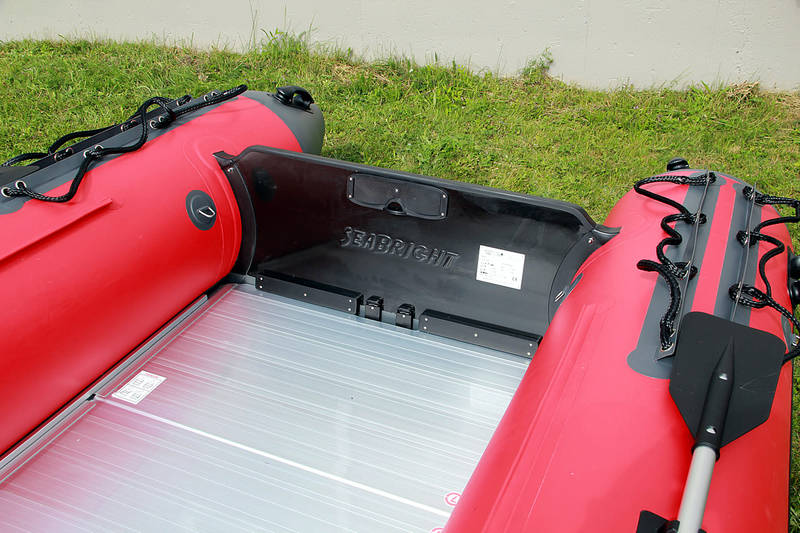 Cargo capacity is a humungous 2860 pounds and this boat will accept an engine up to 40 HP. It is a rugged boat that is built to withstand heavy duty use. 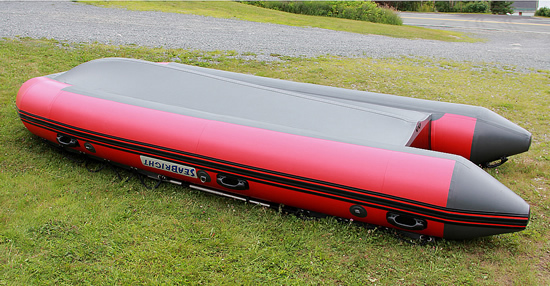 We are so confident that we have the best prices in Canada that we guarantee it !! 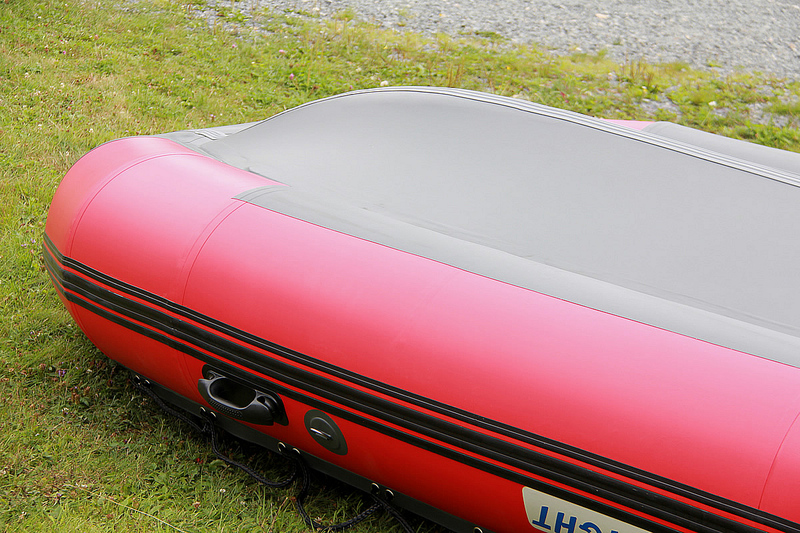 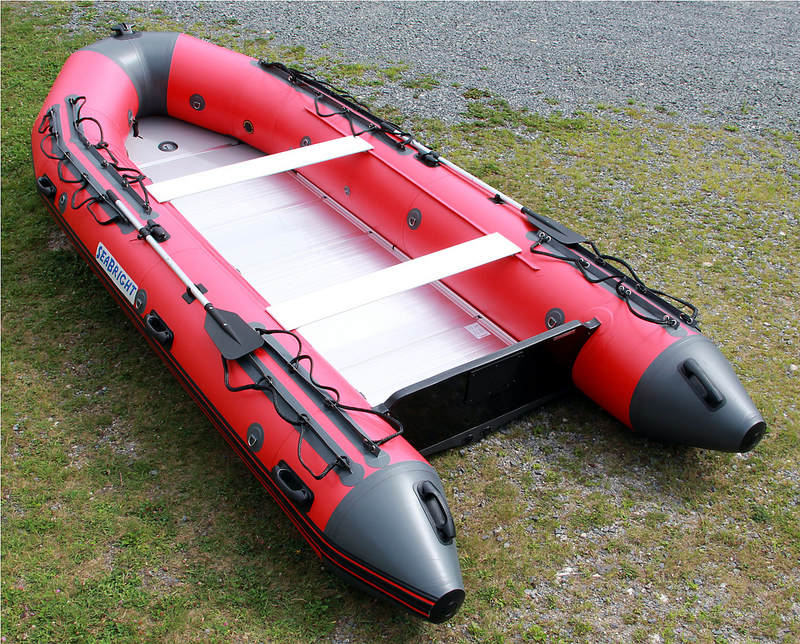 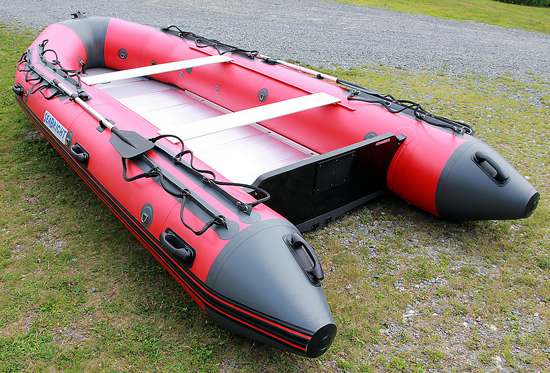 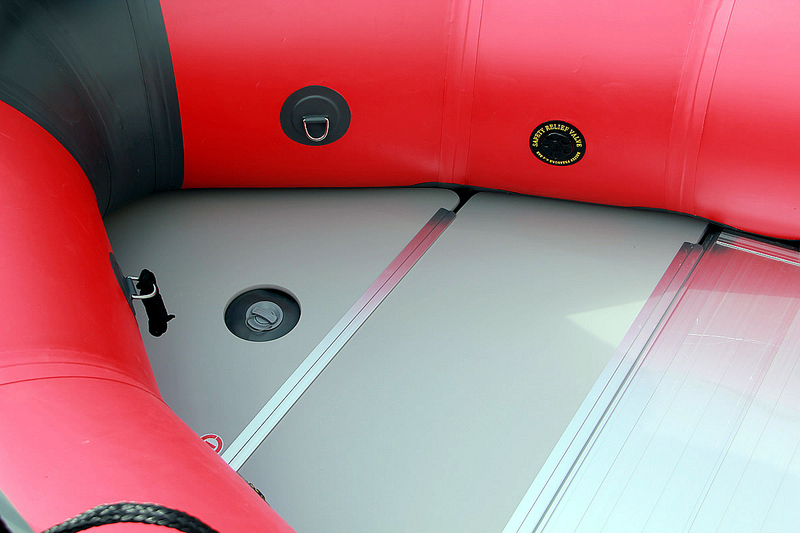 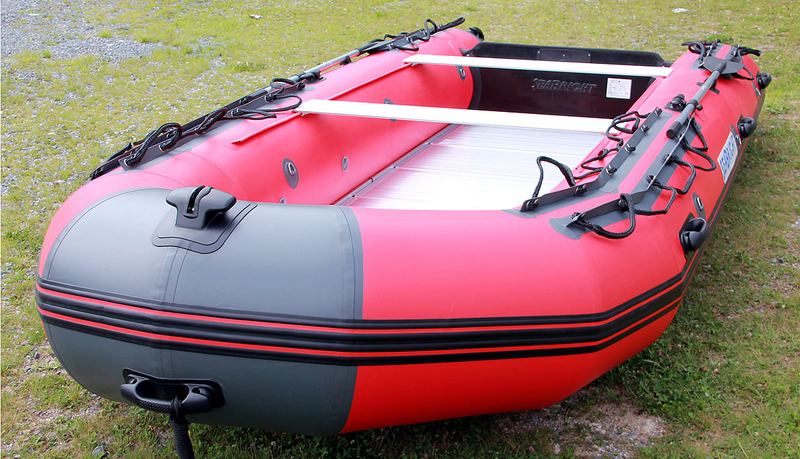 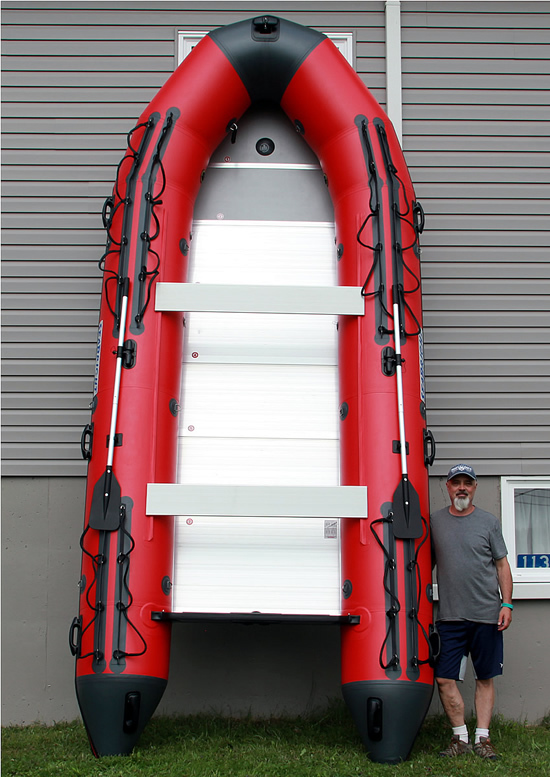 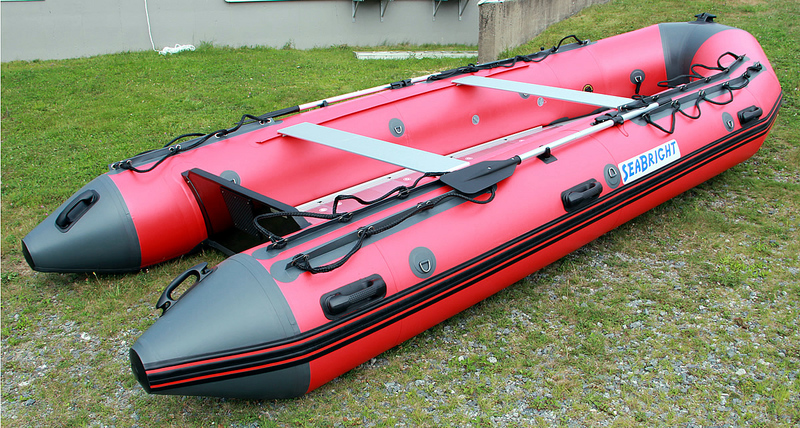 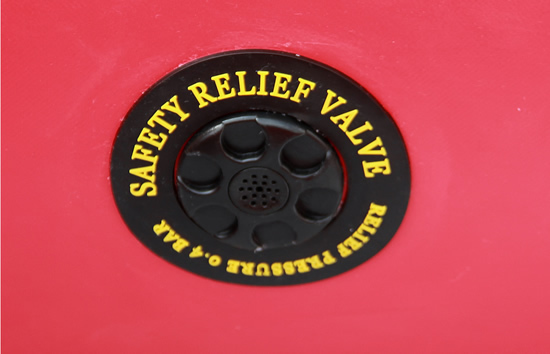 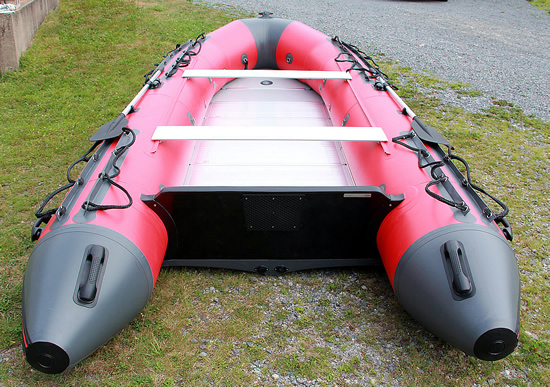 Mehler-Valmex® PVC is widely regarded in the industry as being the premium quality PVC fabric available in the marketplace today, and is the fabric of choice for most high quality inflatable boat companies.